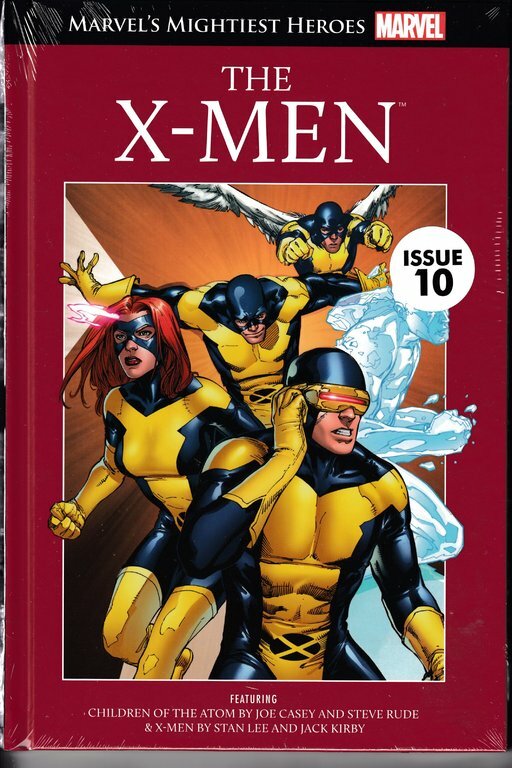 Although it was interesting to read two different versions of the X-Men origin story, I have to say, I didn’t really like this comic book as much as some of the others. Out of the two different sets of comics, I actually preferred the origin story in the first one. It was good to have the opportunity to see some of the background of the original five X-Men. I had a lot of sympathy for Scott in the first set of comics. I thought he looked far too thin… like he’d been starved by the man who had taken him. I really liked Bobby’s character in this… but I think I preferred Hank’s a lot more. There wasn’t really much evidence of how intelligent he was until he was picked up by Xavier, though. It would have been nice to see something of that as well as how athletic he is. I did think interspersing the story with details of the newscasts was an interesting effect. I did also find myself getting really annoyed with the people in the first set of comics especially. There wasn’t much evidence of anyone being accepting… though it was good to see that some of the parents tried hard to support their children. I thought it was interesting to see that the first set of comics were in a different kind of style entirely to the slightly more juvenile version of the second set. What I also thought was interesting was how young Charles and Magneto seemed in the first set of comics. And I liked seeing the mutual understanding between Charles and the FBI agent… and I did like the FBI agent’s character. I did dislike most of the other police shown, though. There was one mutant character I felt a lot of sympathy for in the first set of comics. It was a bit disappointing that the second comic meant that the first one was no longer valid, though. I liked Warner’s character, even though he was technically a vigilante. I would have liked to know more about him… though he did remind me a bit of Tony’s character. I liked seeing some of the artwork at the end of the book and I do think it was worth reading these comics… I just didn’t enjoy them as much as some of the others.